The graduation ceremony which held at Pistis Hub marked the end of the iLEAD programme cycle which started in September 2017 and has been in operation in these schools through a United Way Worldwide grant on behalf of the generosity of Citi Foundation. In attendance were representatives from Lagos State Ministry of Education, School Administrators – Principals and Vice-Principals, iLEAD facilitators/teachers and volunteers. After one year of learning, mentoring and exposing students from low-income communities to leadership and life skills and employability skills training, we gathered a panel of teachers, students, Emeka Ephraim (Volunteer) Mrs. Comfort Manus (a parent) to discuss their individual experiences and how the programme has influenced their lives. significant attitudinal changes in their students. improvements in classroom attendance and participation during the programme. Students’ willingness to learn other subjects which were adjudged to be difficult. A cross section of the panelist at the graduation ceremony in Lagos. Getting a clearer picture of who a leader is. Improved academic performance. From being at bottom of the class to leading tutorials for peers. It is interesting that parents are equally able to contribute to this discussion. Mrs. Comfort Manus; a parent to Bernard Manus (one of the iLEAD students) narrated an extremely emotional account of how the iLEAD module has brought out the greatness in her son. Bernard was born pre-mature and right from birth, they have always seized every opportunity to inspire him towards greatness. According to her, he was christened Bernard as a reminder that he can be whatever he wants to be in life. Mrs. Manus stated that her son is now confident and bold, he approaches issues wisely and has assumed a leadership posture domestically. L-R: Yewande Apatira; LEAP’s Programme Coordinator and Mrs. Comfort Manu; a proud parent of one of our iLEAD students sharing the impact of the programme on her ward. Waste Management through Waste Recycling: To reduce dirt in their environment, students collected waste plastic bottles and expertly assembled them to create unique waste bins for the school. Refurbishing Basketball Court: Because social vices is a rampant phenomenon in the school, students identified that bringing the boys back to the court to play basketball can reduce this, thus, they refurbished an existing basketball court to make this happen. Health Outreach in Sabokorji Community: Sabokarji is an area with limited access to affordable healthcare in Apapa area of Lagos state. Students responded to this challenge by partnering with health professionals (volunteer) to embark on a massive health outreach to provide treatments and drugs for Malaria, Cold, Pains, etc., for inhabitants of the community. Campaign Against Drug Abuse: Having identified that drug abuse is a norm among young people in the community, students of Fazil O’mar embarked on a street-wide awareness on the dangers of the illicit use of drugs. To achieve this, they positioned signpost at strategic points in the community bearing some of these dangers. Fitting a school library with books: The school library has been lying moribund over the years and this has crippled the reading culture of students. iLEAD students at Opebi High School took the initiative to purchase chairs, tables, and some books to furnish the library. They are always seeking opportunities to do more. Waste Management: Students identified waste disposal as a significant problem in their community and went on to purchase and donate “Hanging waste baskets” to the community to enable them to dispose of waste in a more civilized manner and thereby reducing the various health challenges that indecent disposal of waste can cause. Enforcing Right of Way to Pedestrians: To avoid fellow students and community members from being hit by cars, students initiated a move to repaint the zebra crossing on the road surface. 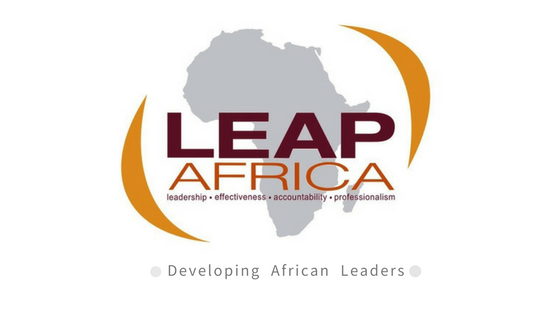 LEAP launched the iLEAD CLUB in these schools which will be championed by students and managed in collaboration with teachers.